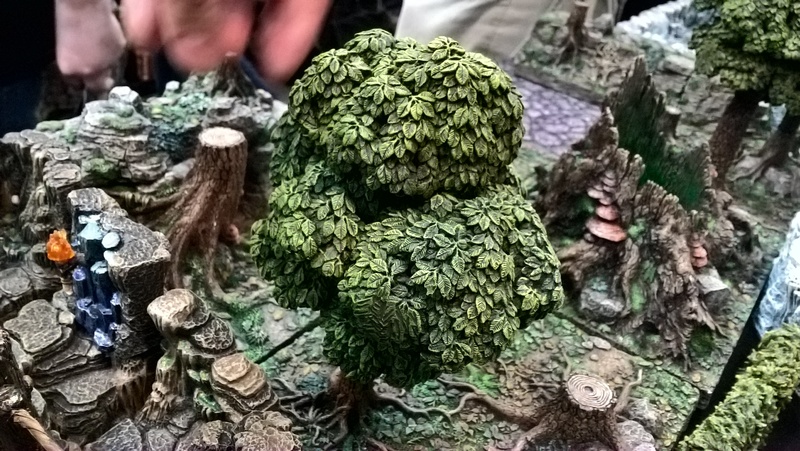 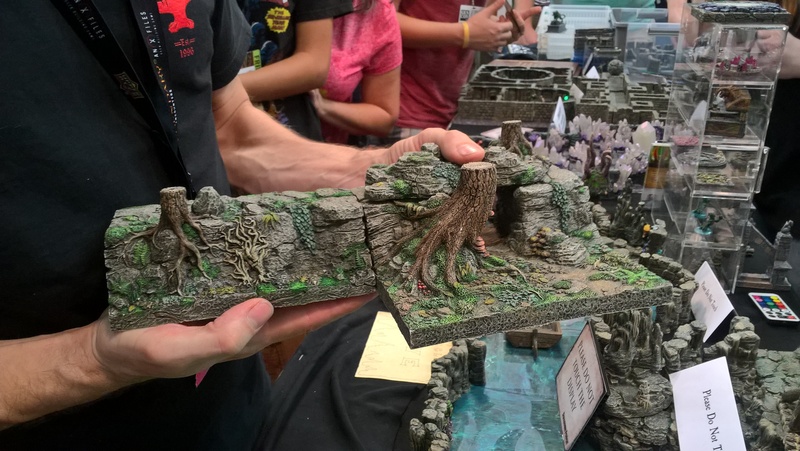 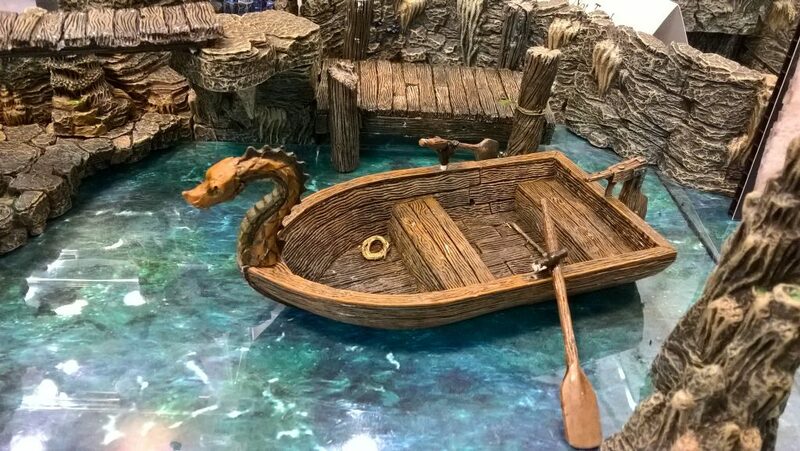 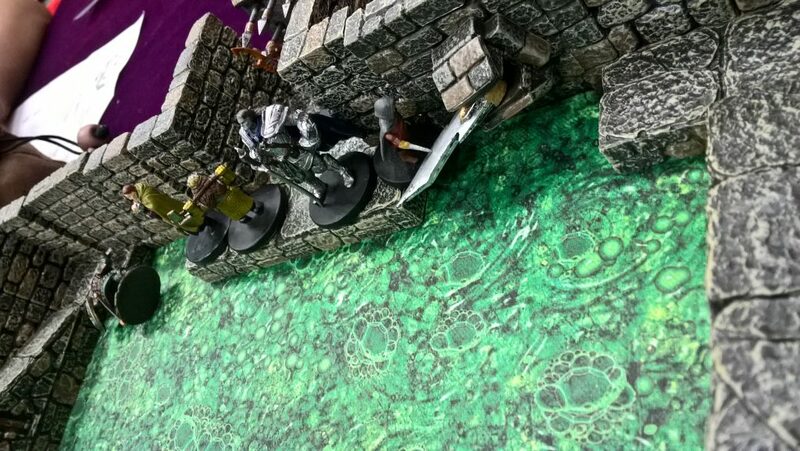 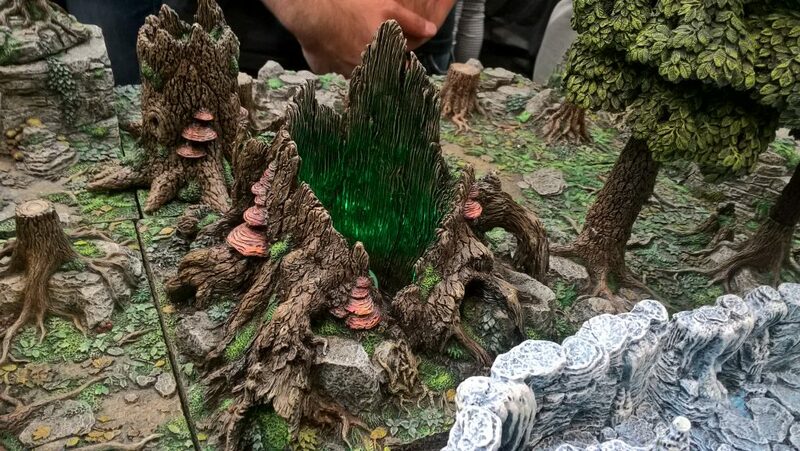 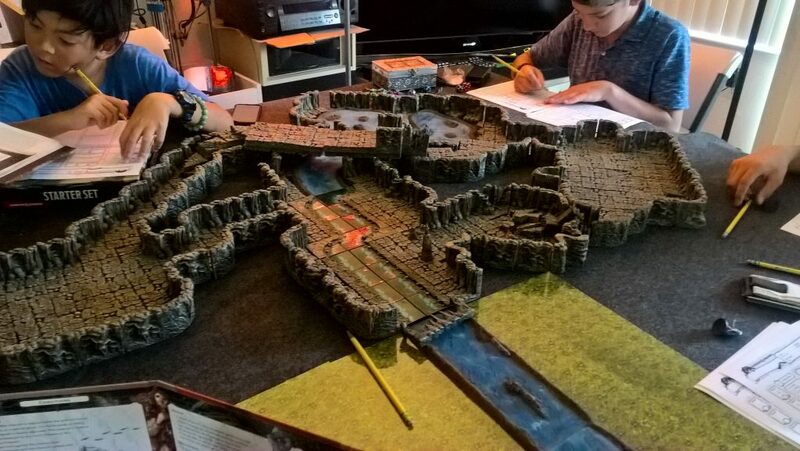 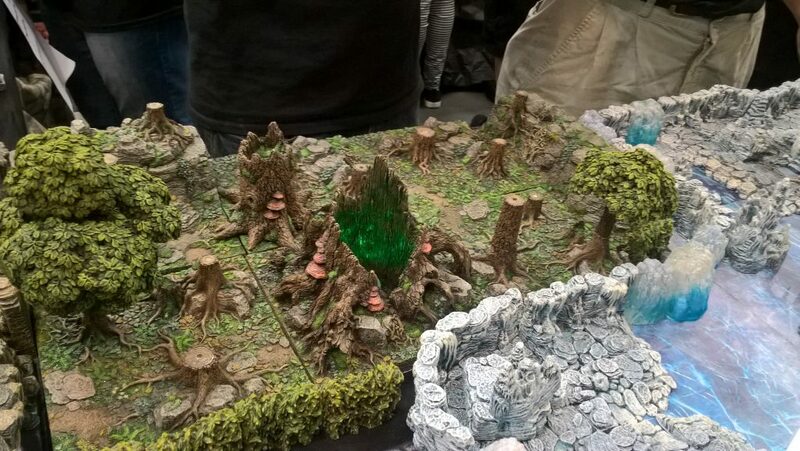 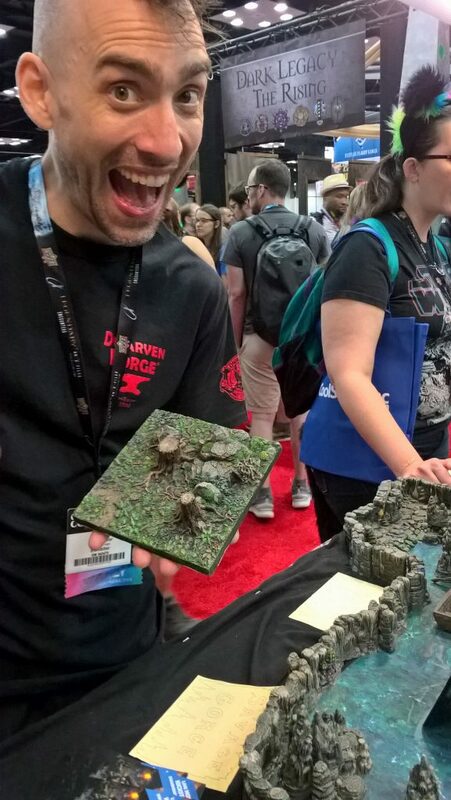 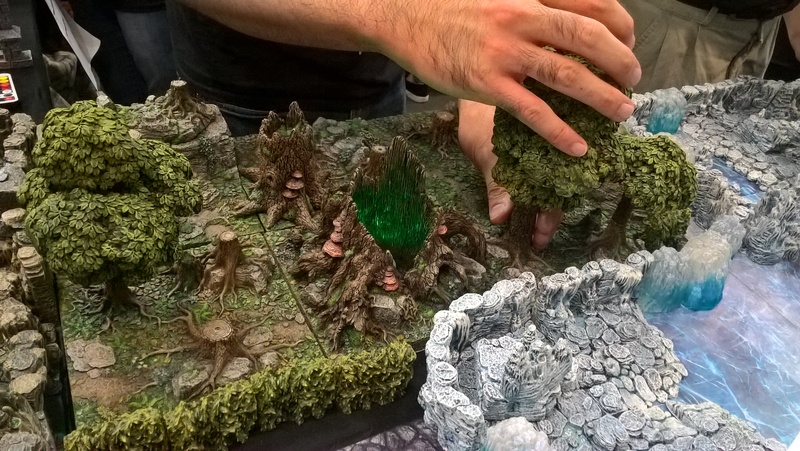 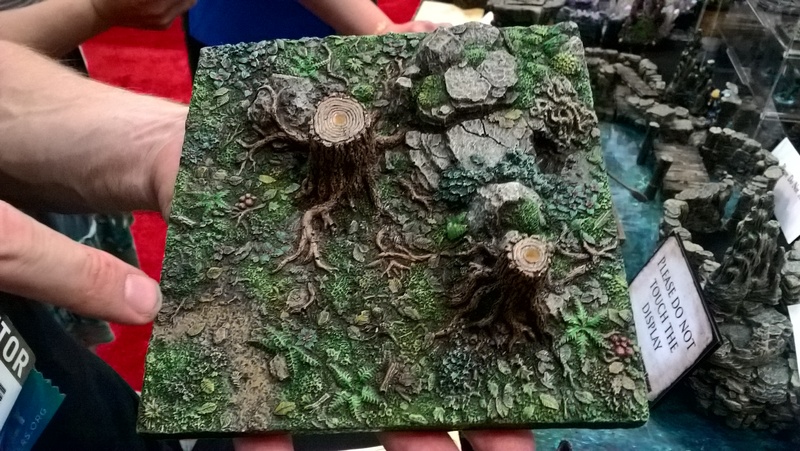 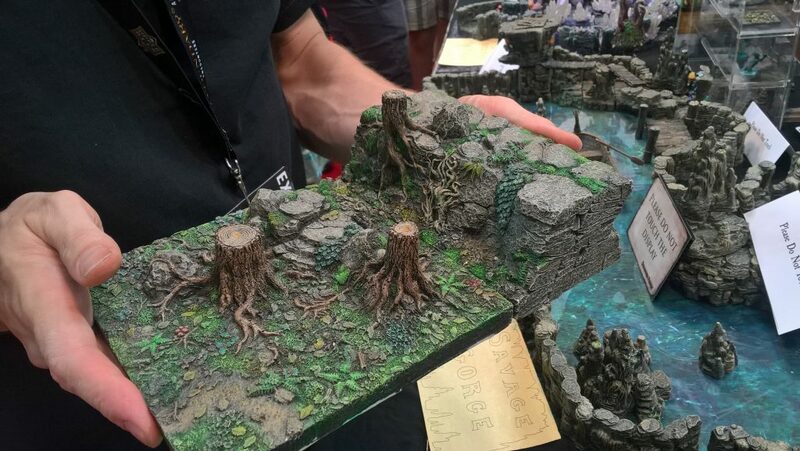 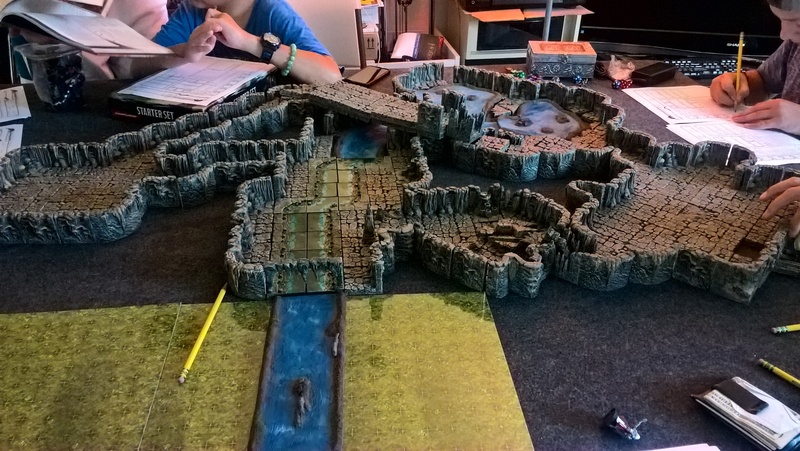 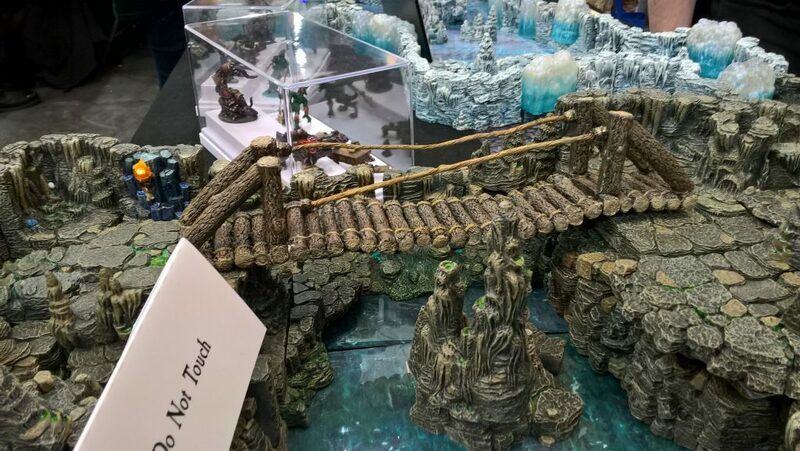 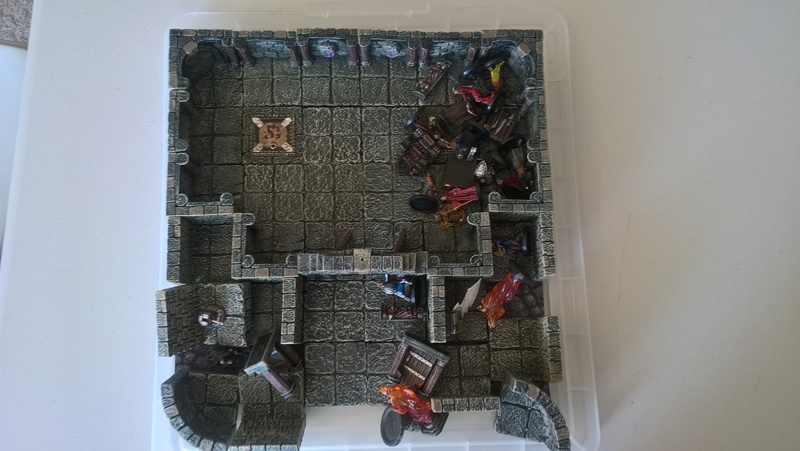 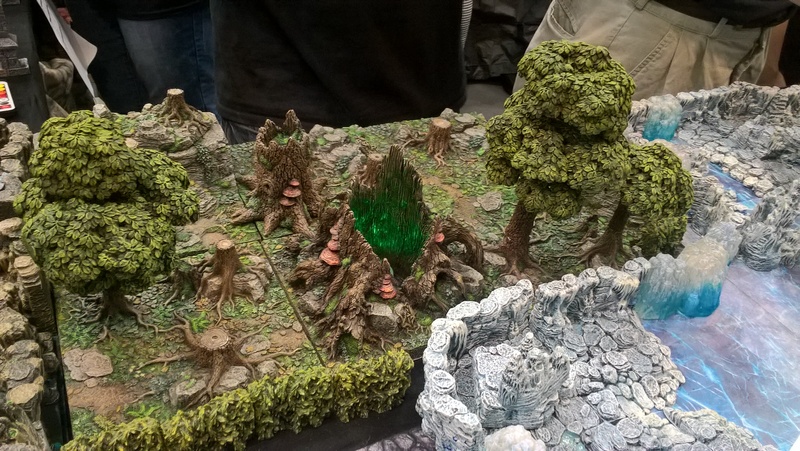 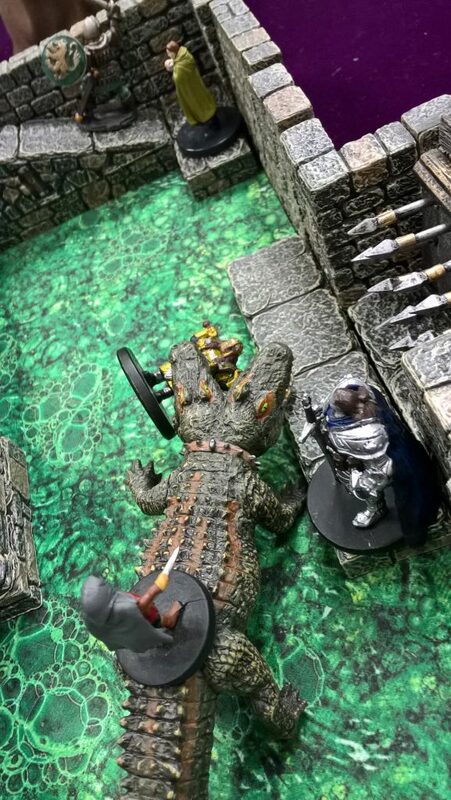 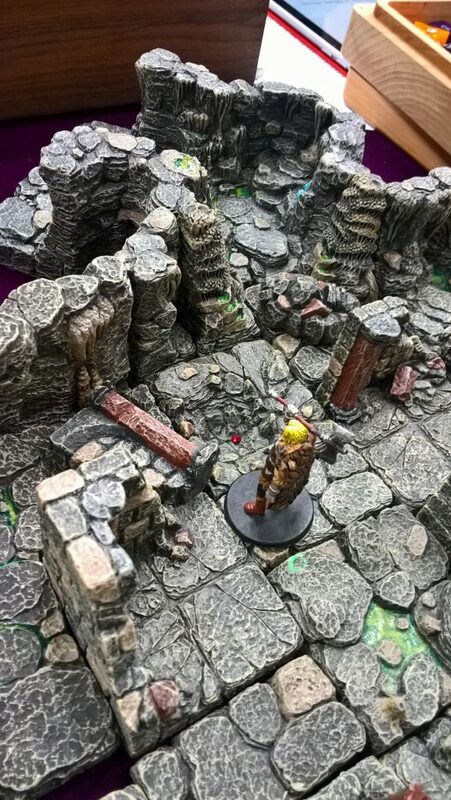 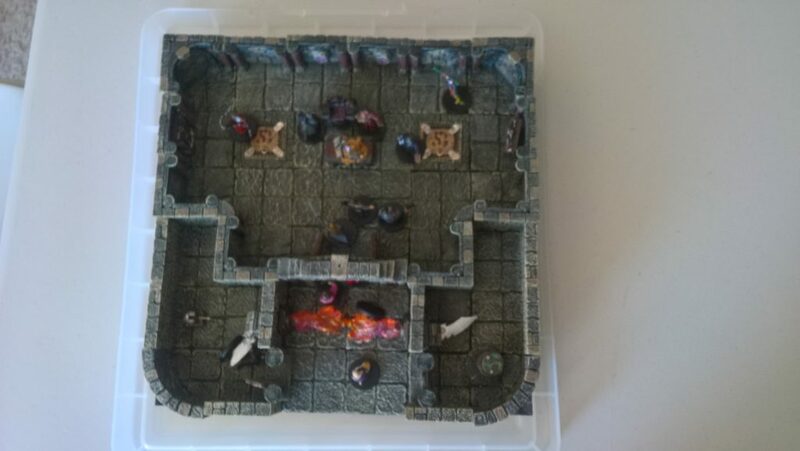 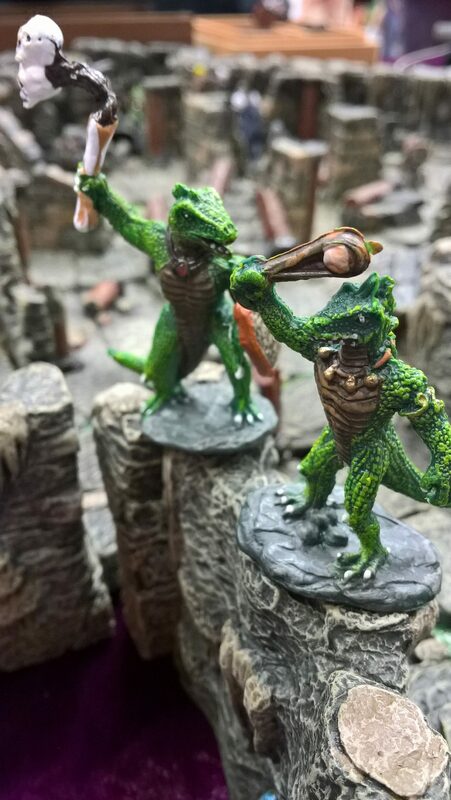 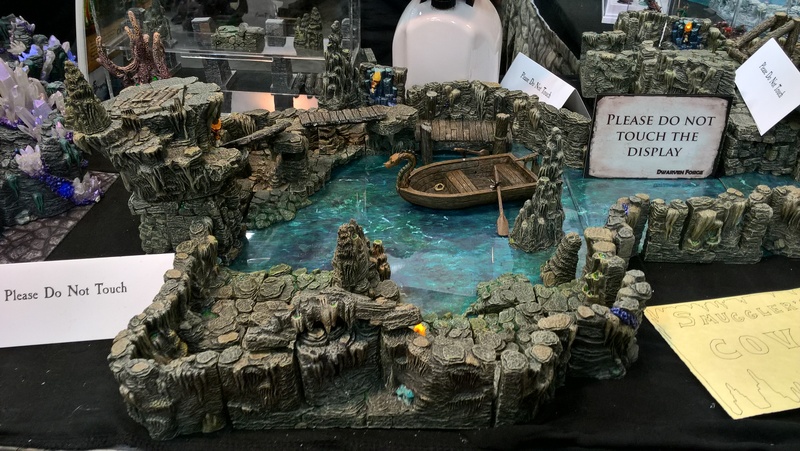 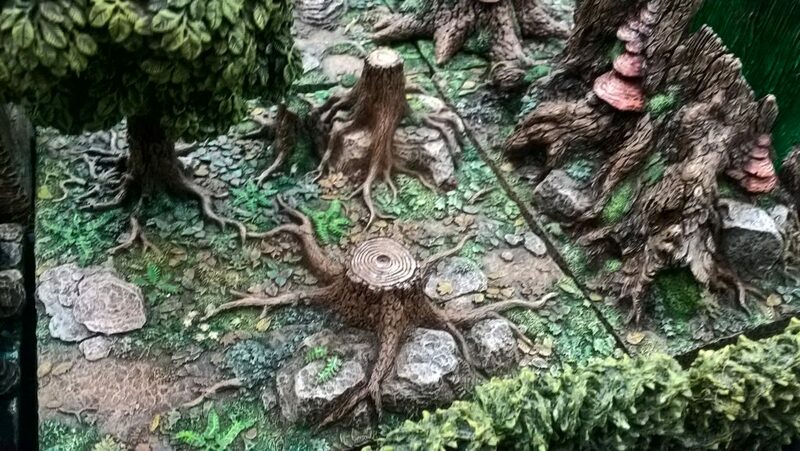 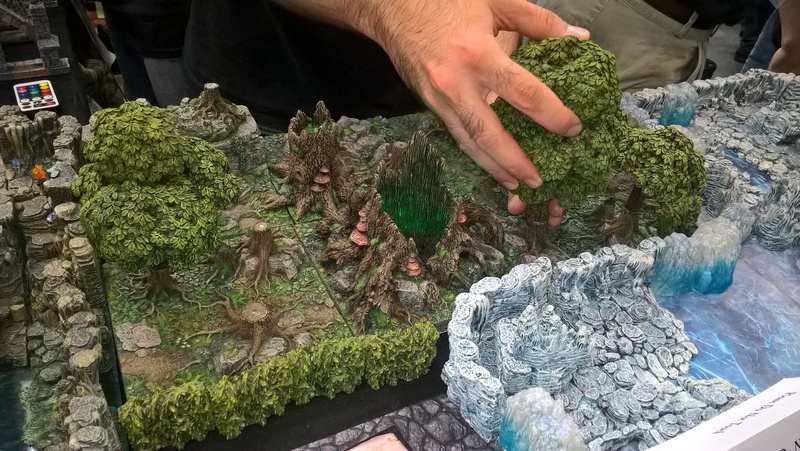 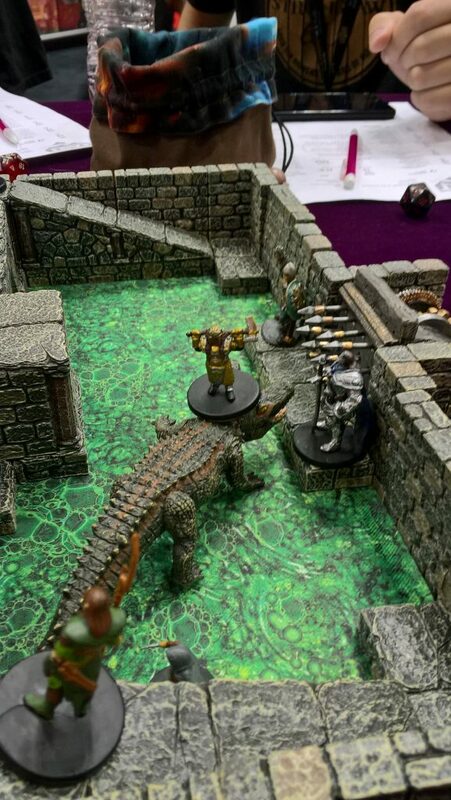 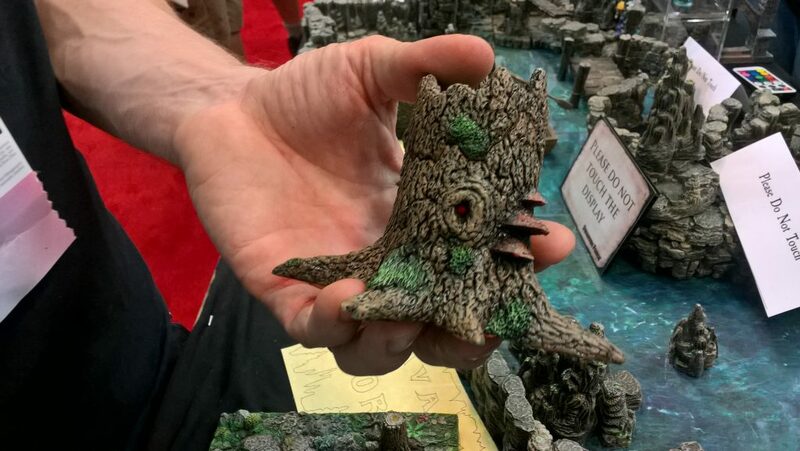 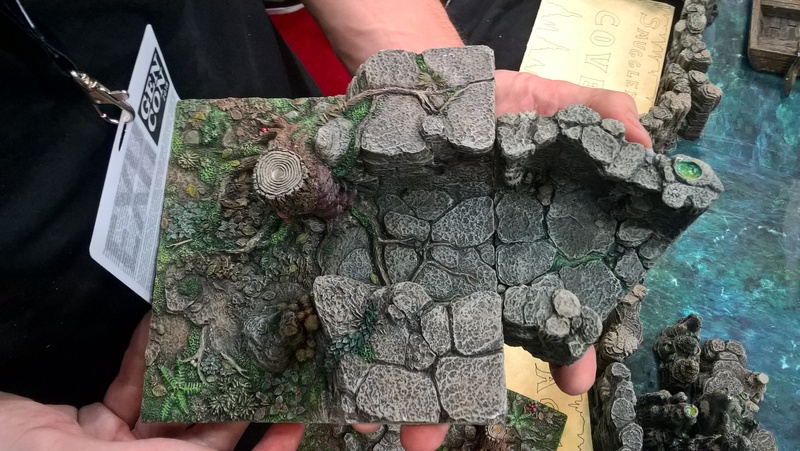 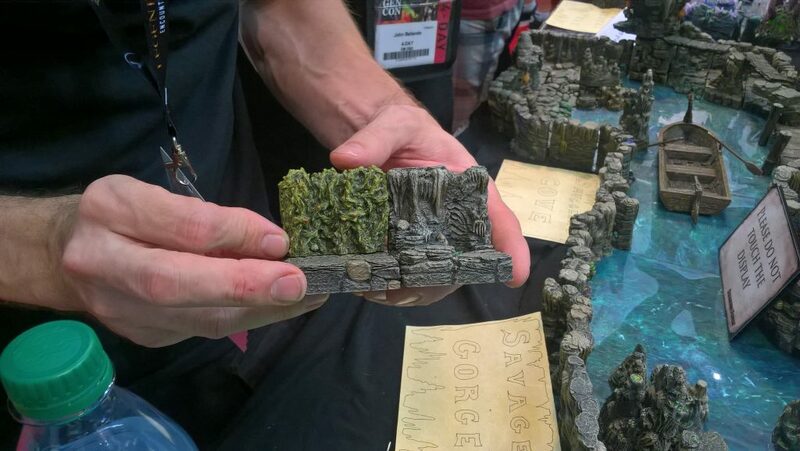 Dwarven Forge’s Dreadhollow Forest was revealed this morning. 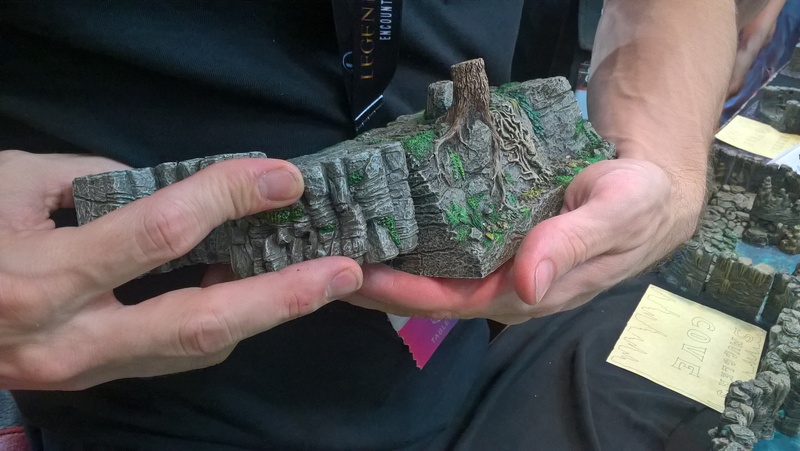 I stopped by the booth to get these pictures – beautiful! 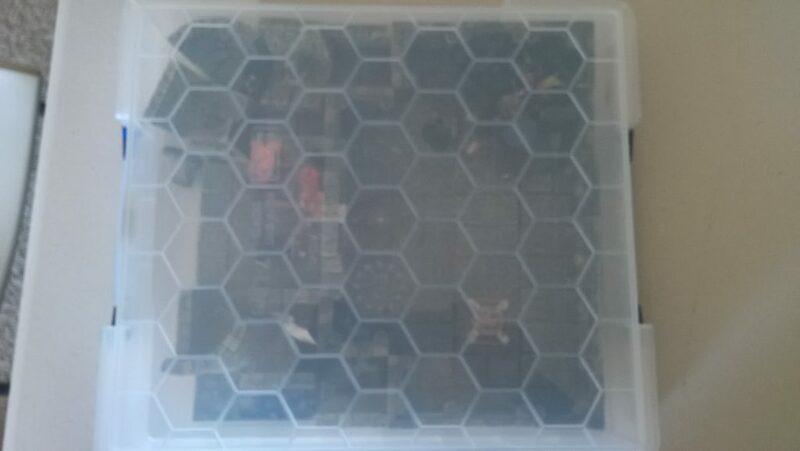 (click on picture of higher resolution). 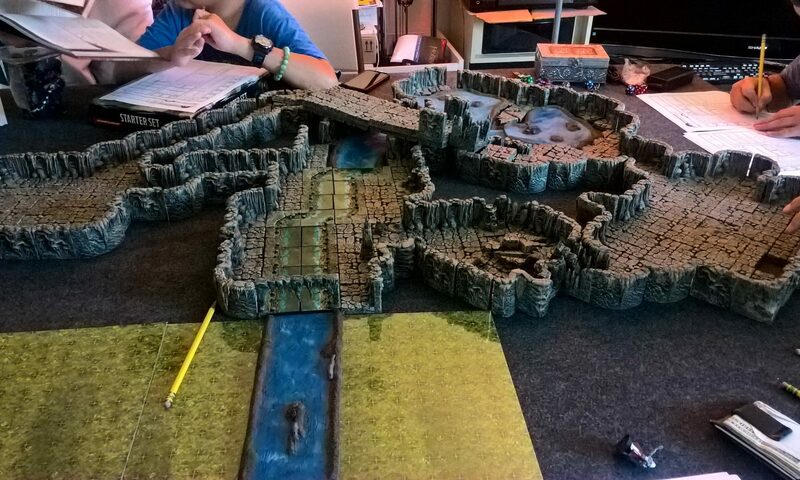 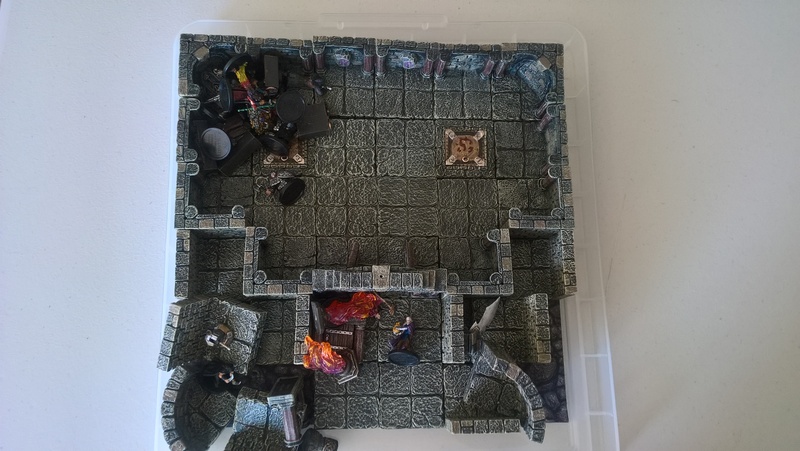 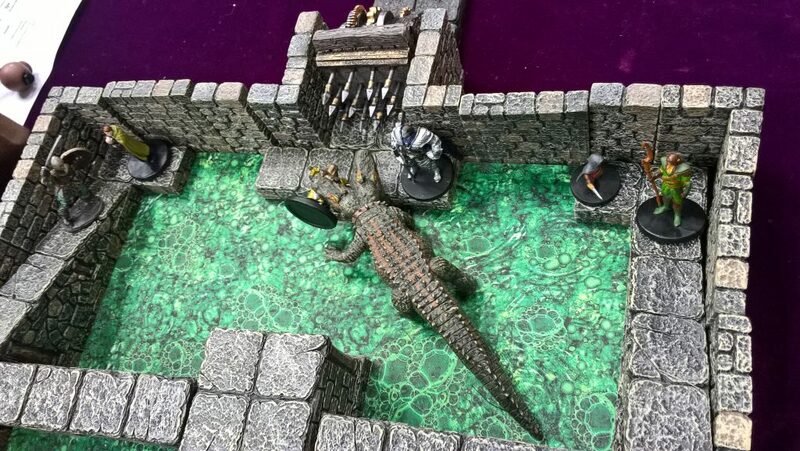 And it is hollow, perhaps a lair, or a tunnel to the underdark… or something even more sinister! 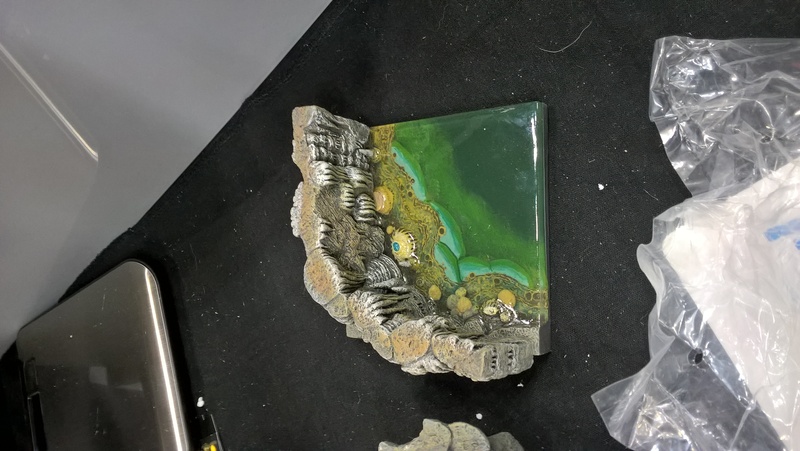 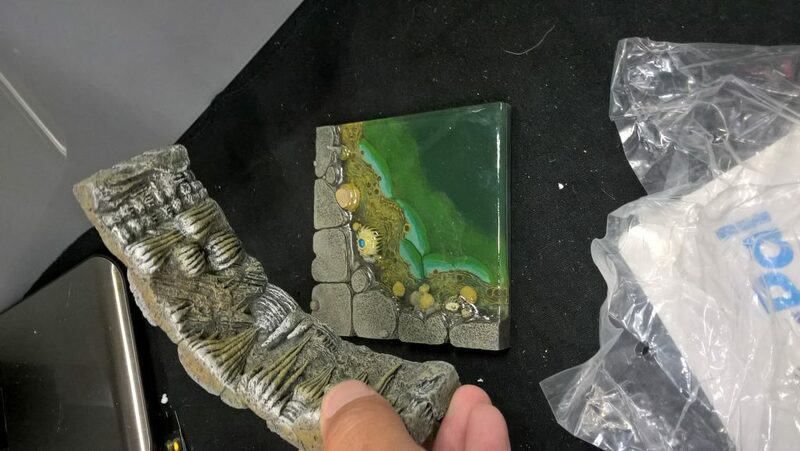 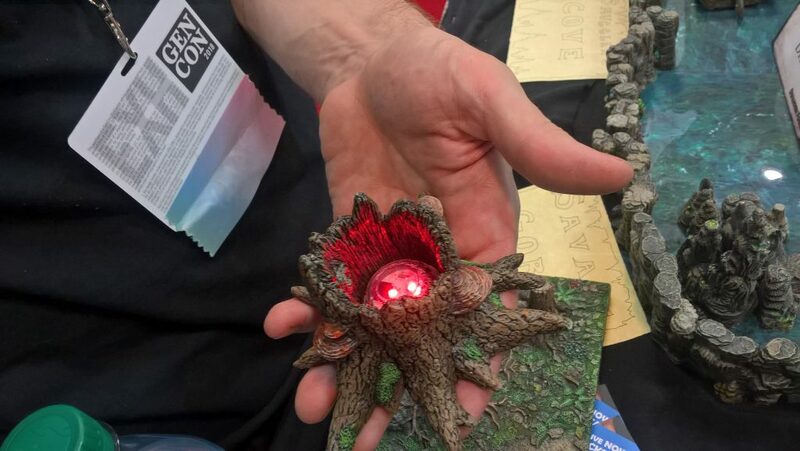 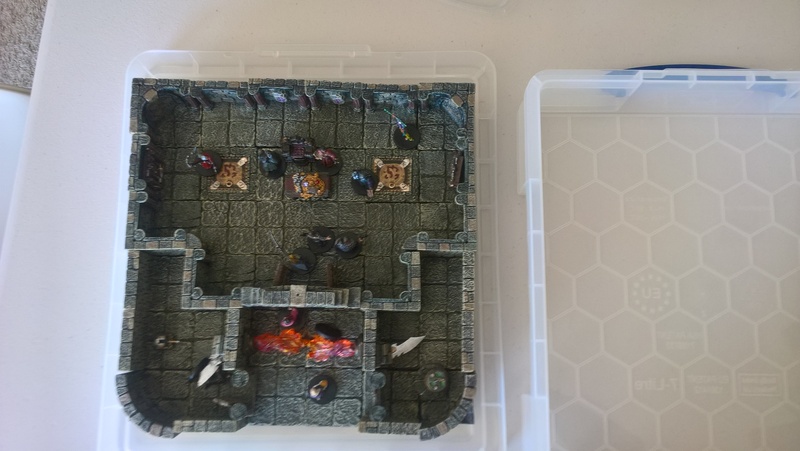 He showed off how the 6″x6″ transition piece to caves works – with a removable arch (next to a new caverns passage 45 degree bend)! 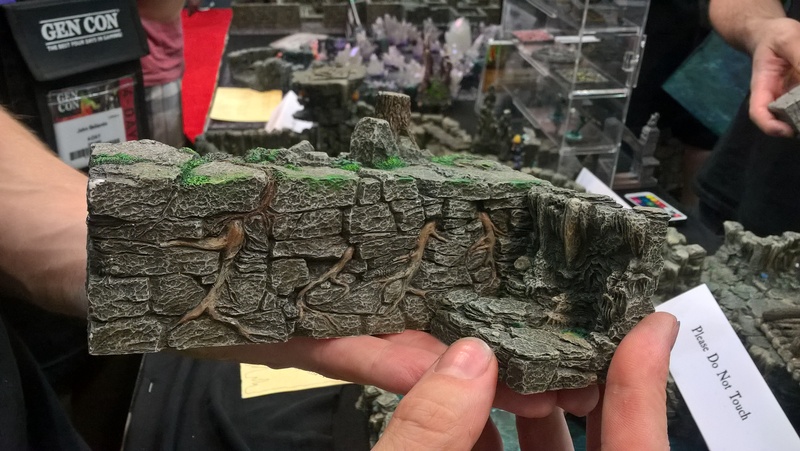 And another potential 6″ x 3″ “cliff” transition piece with some Erinthor mountains pieces. 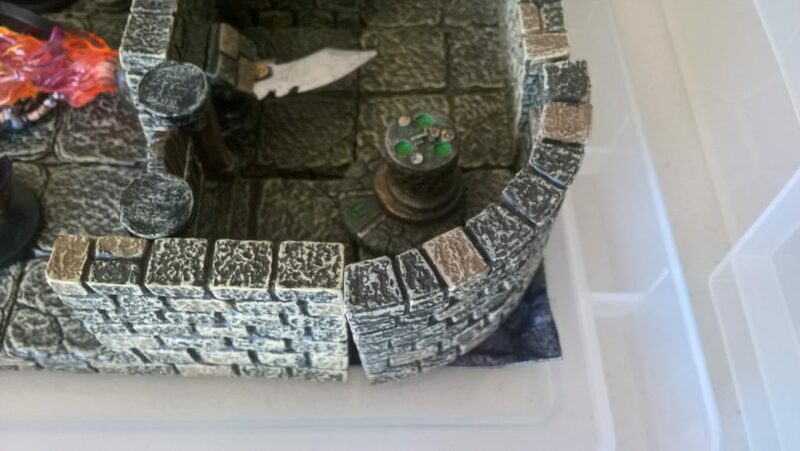 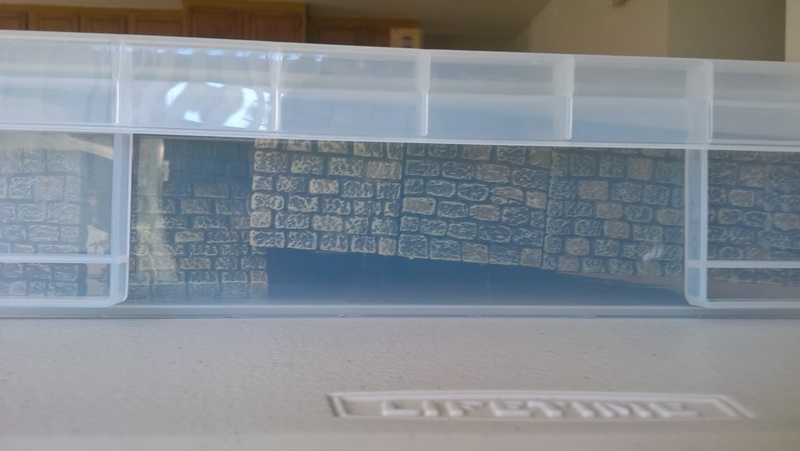 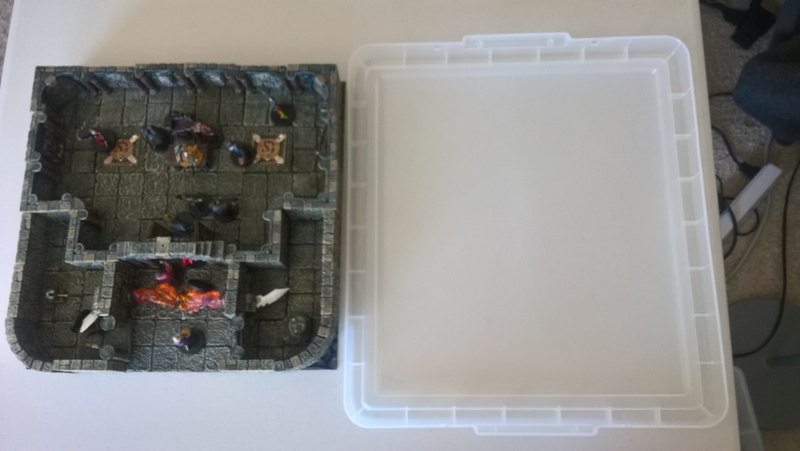 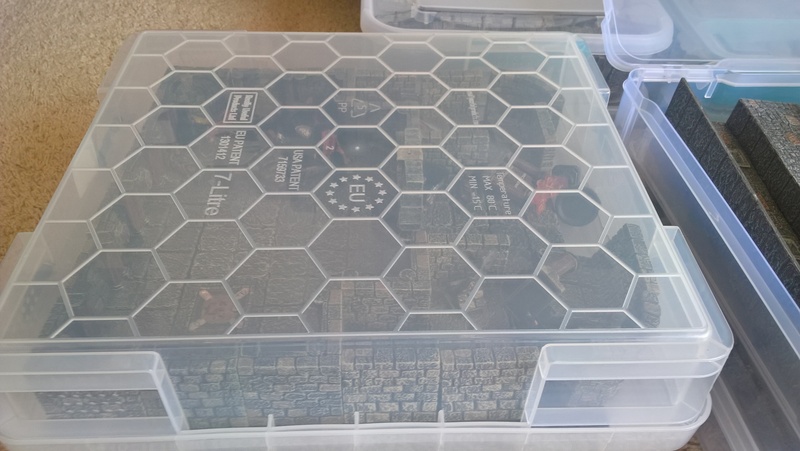 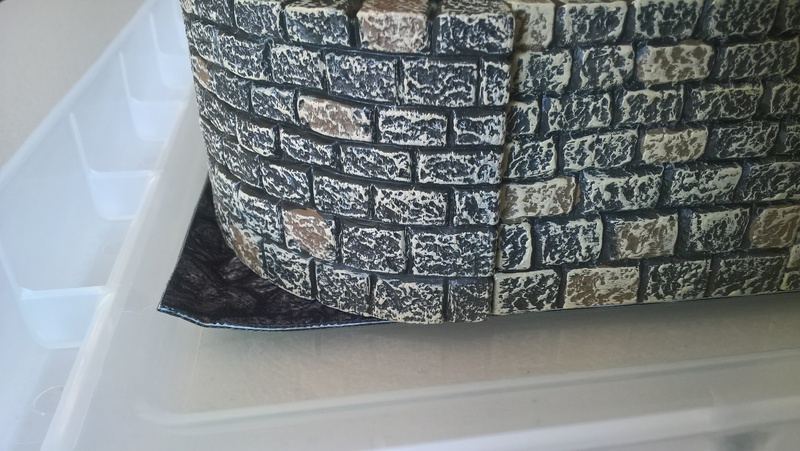 And finally, some of the freestanding hedge “walls” (atop a regular 2″ x 2″ cavern floor – for scale to a normal cave wall). 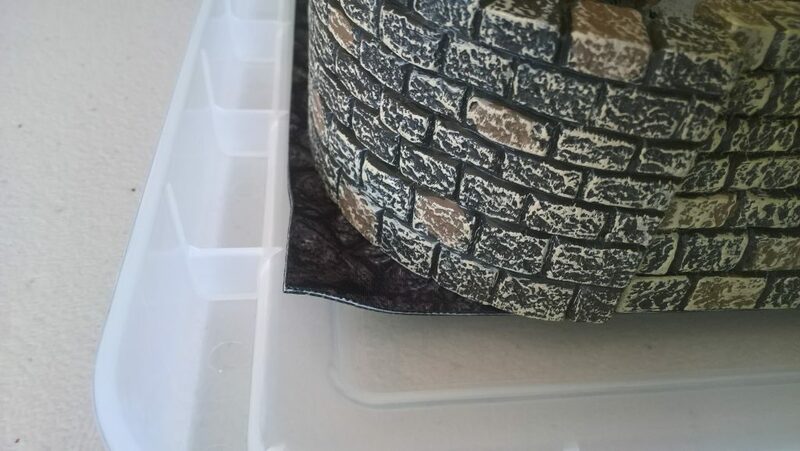 The paint job isn’t finished on these yet. Again, Nate wanted me to emphasize that the paint job on it is NOT FINISHED YET! 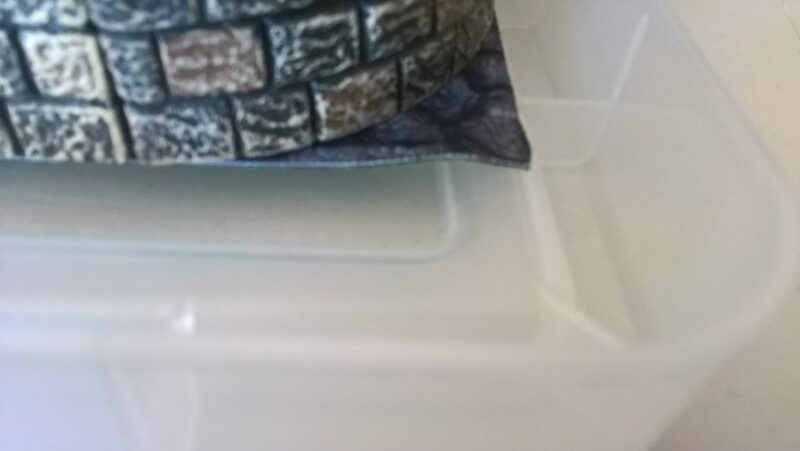 Ok, time for me to finally crash and get a good night of sleep! 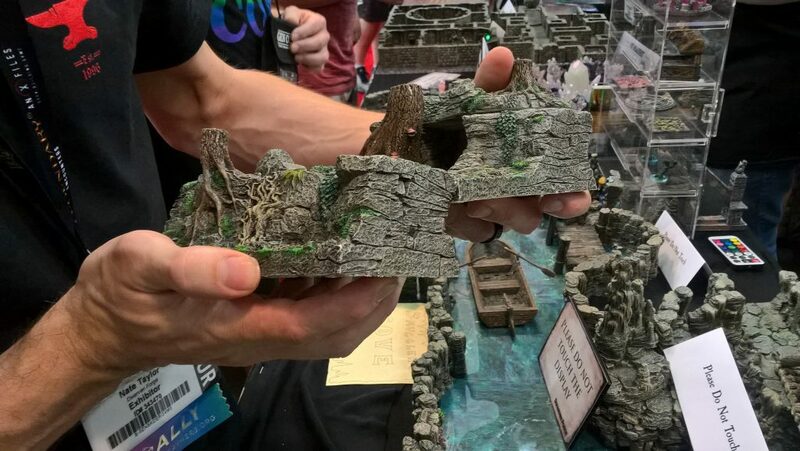 The mini close-ups requested, as well as the DoD ruins in the game Stefan was running! 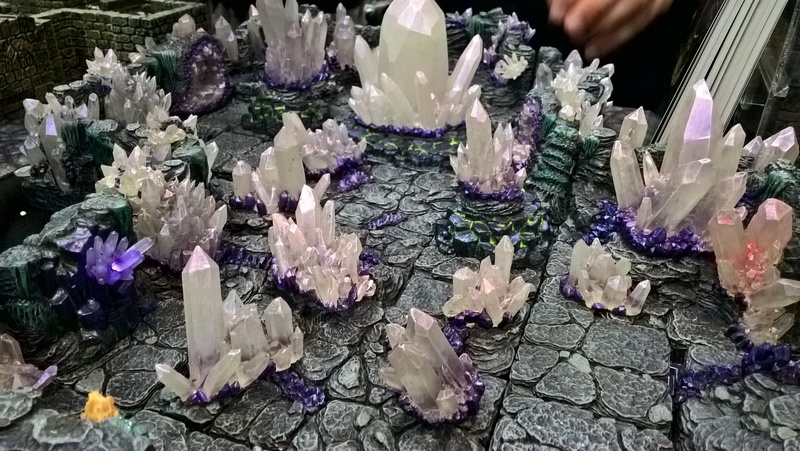 The paint job of KS2 compared to crystals. 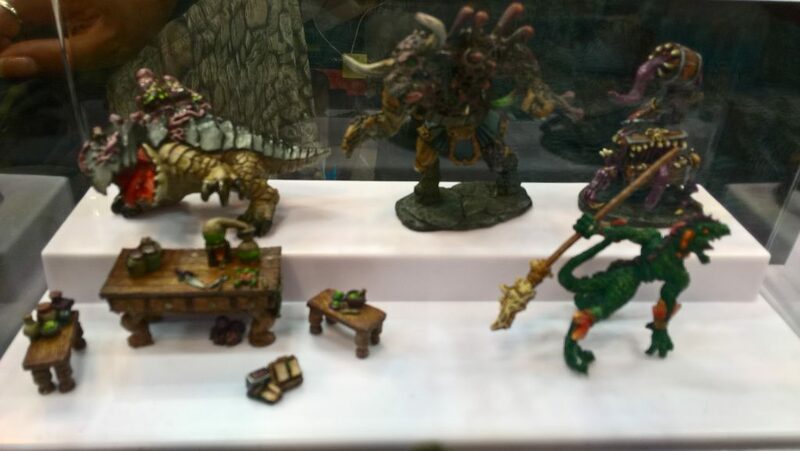 Paint job of KS2 compared to KS6. 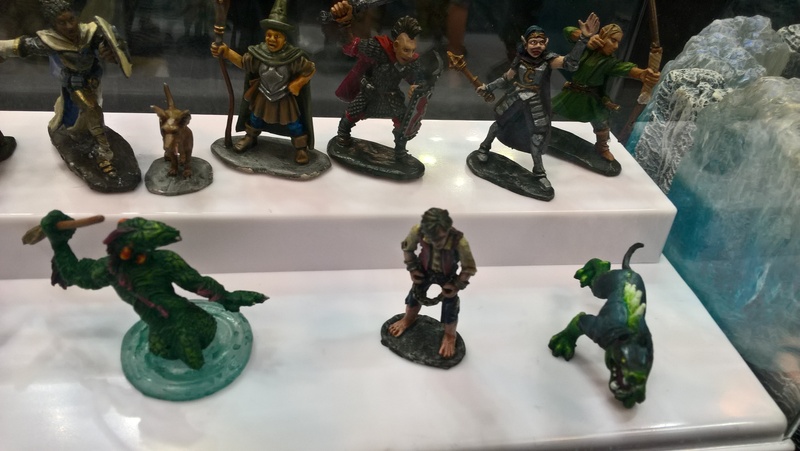 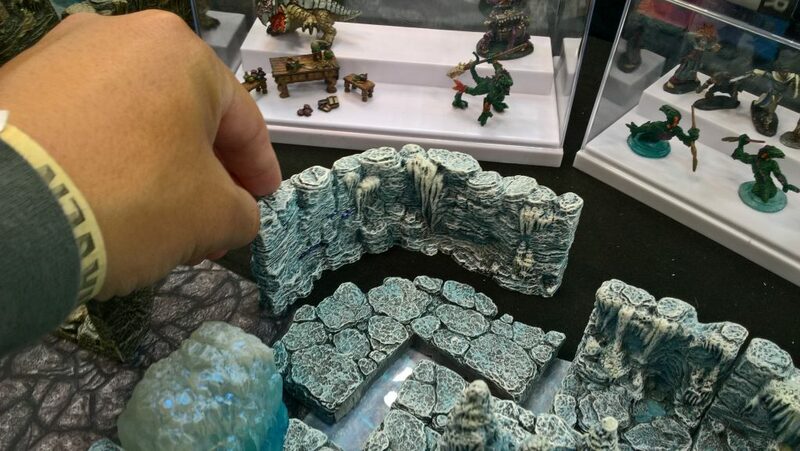 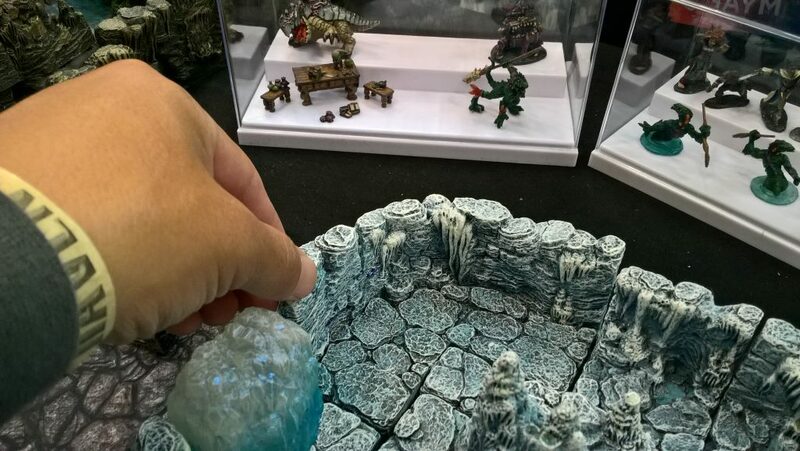 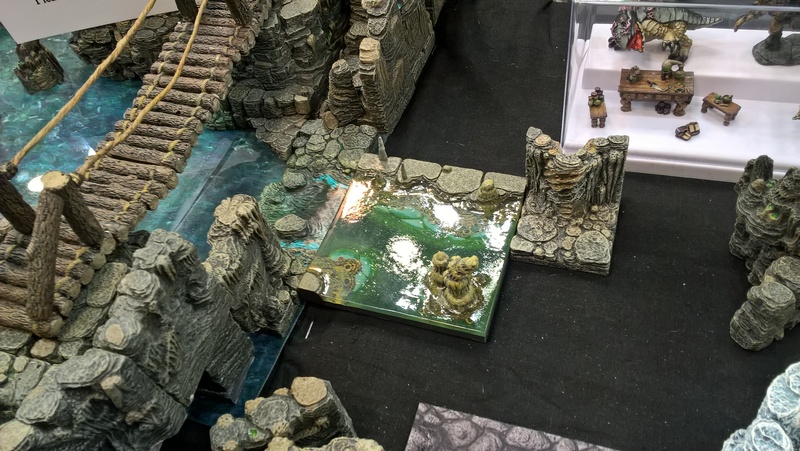 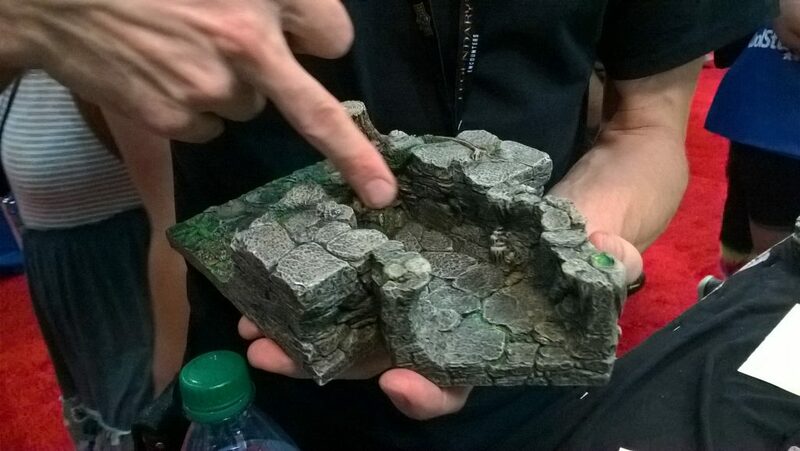 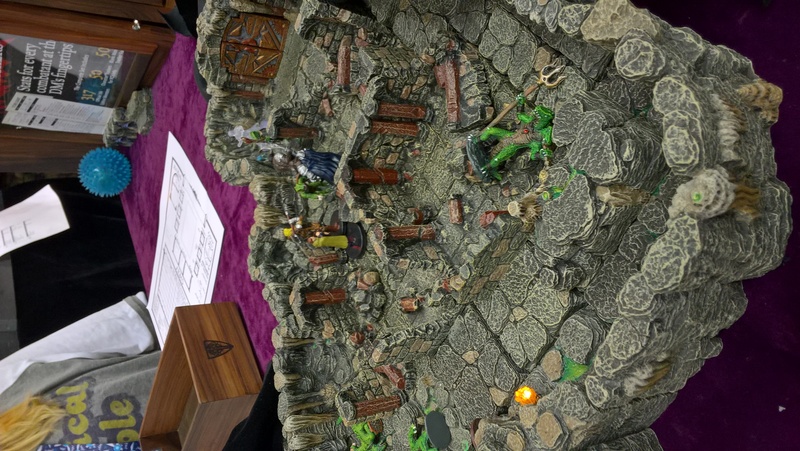 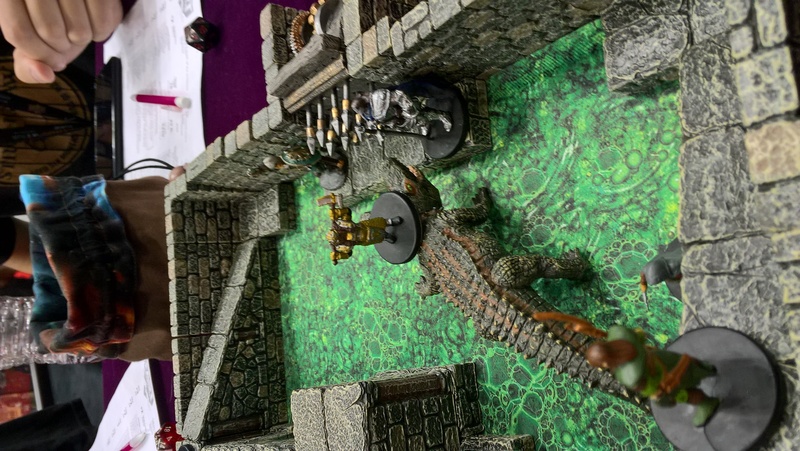 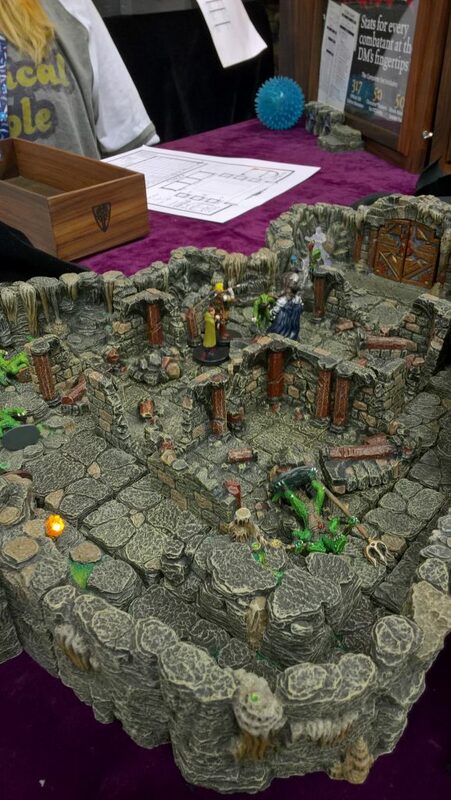 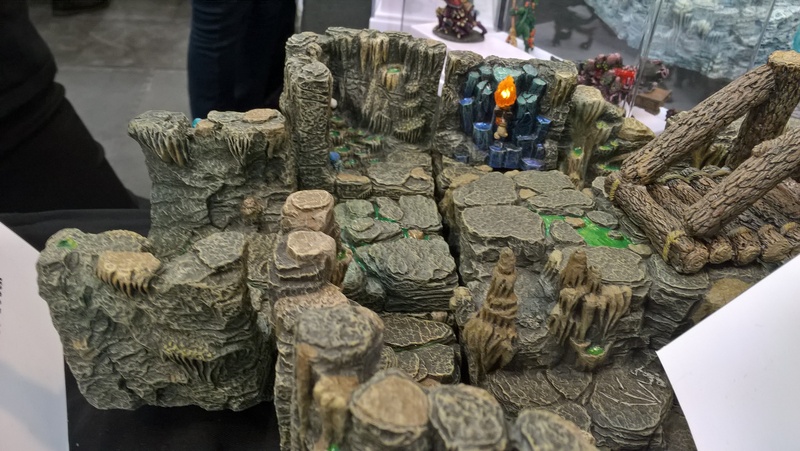 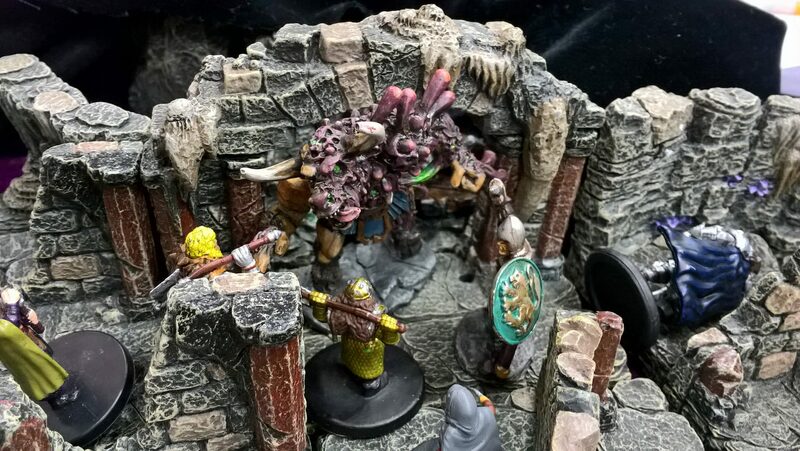 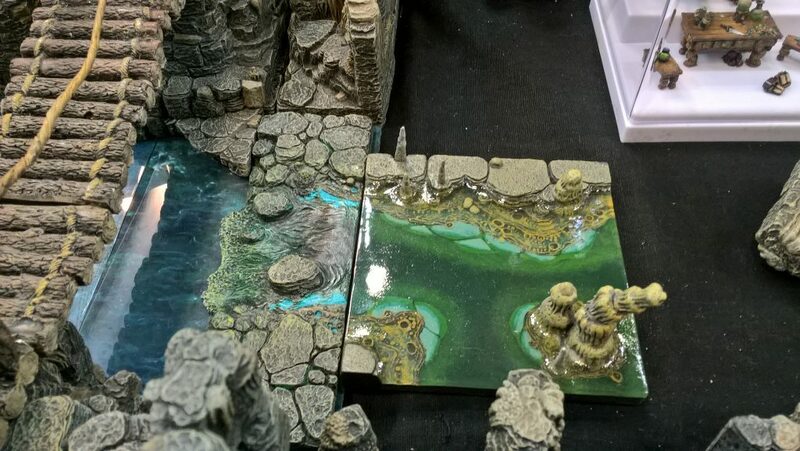 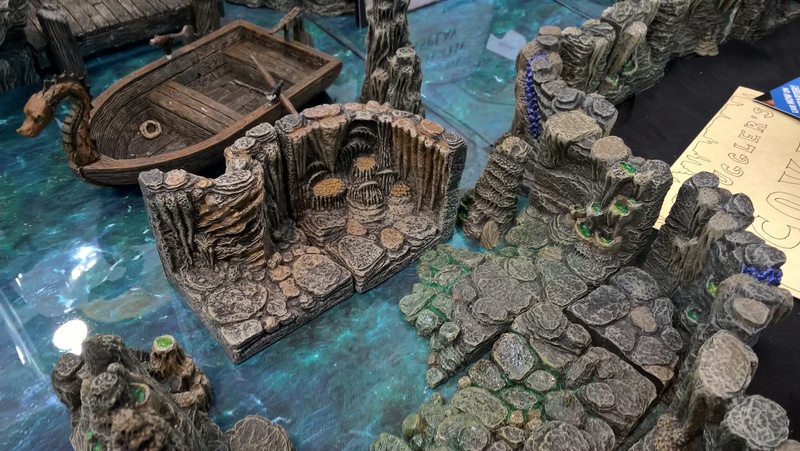 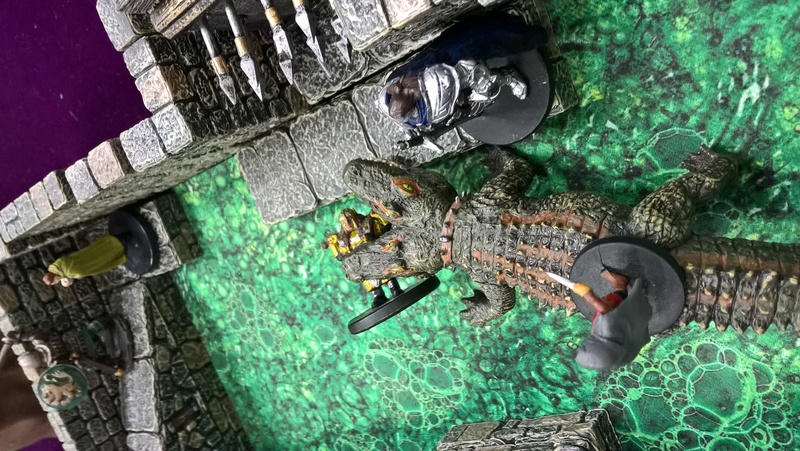 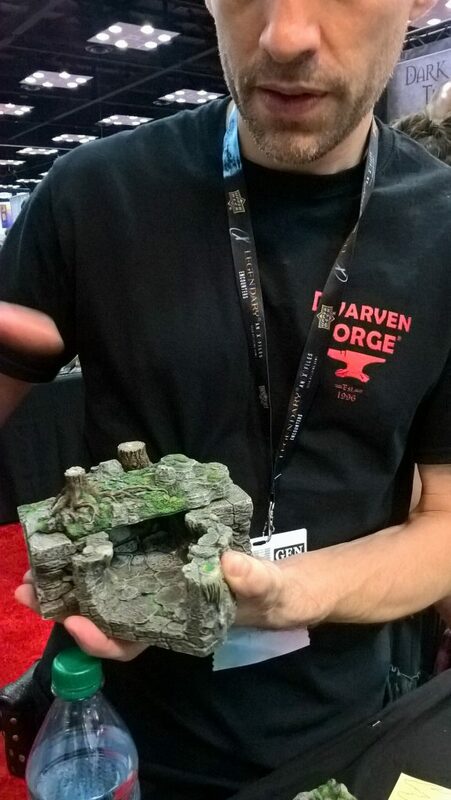 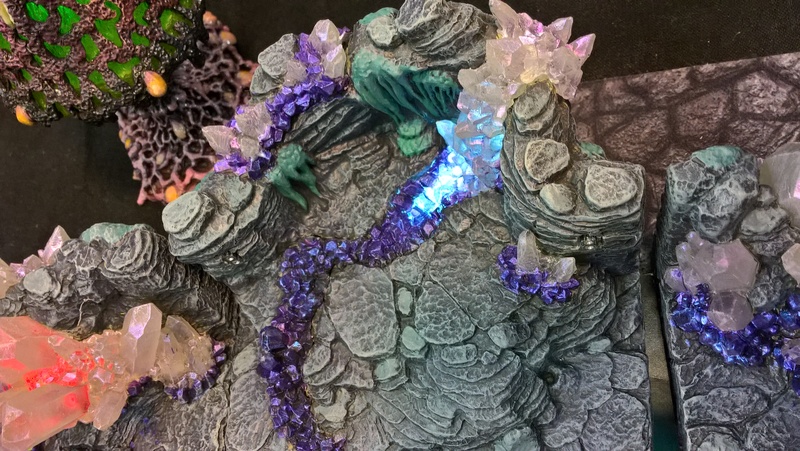 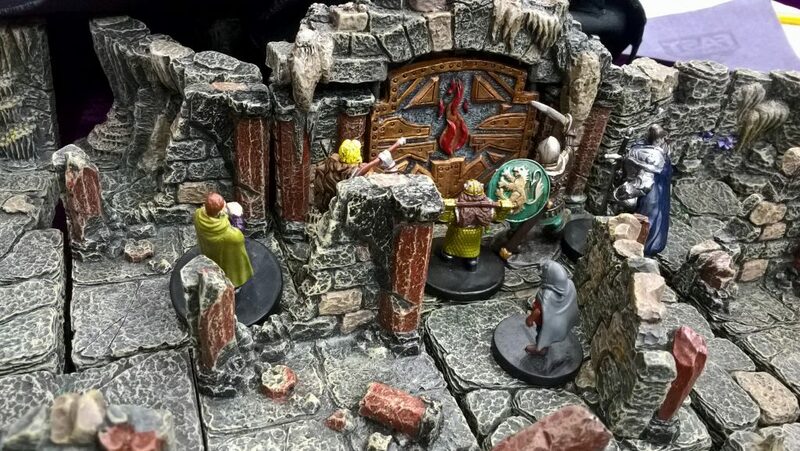 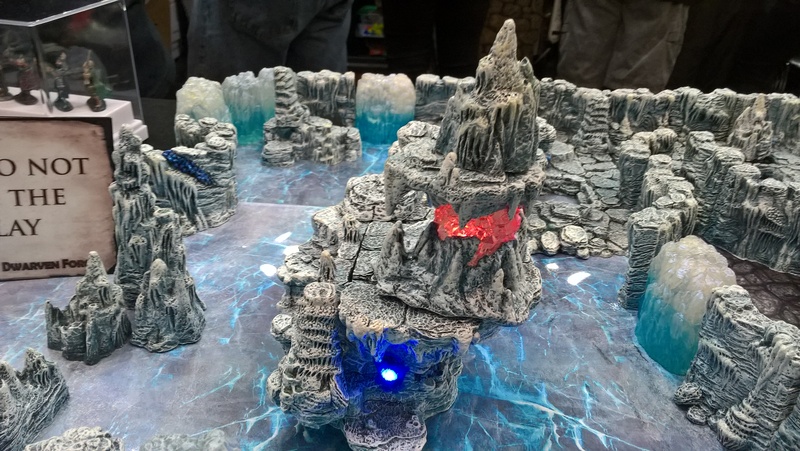 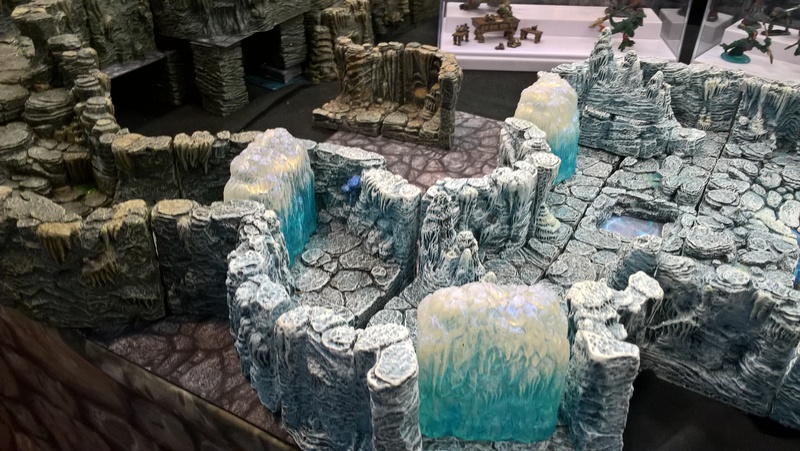 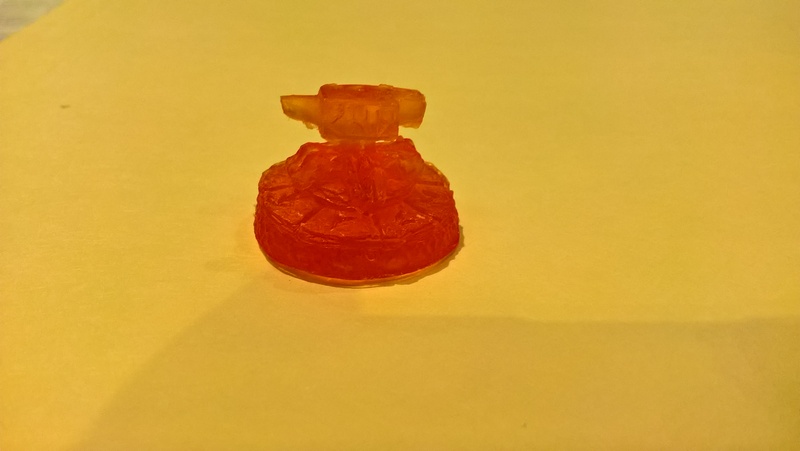 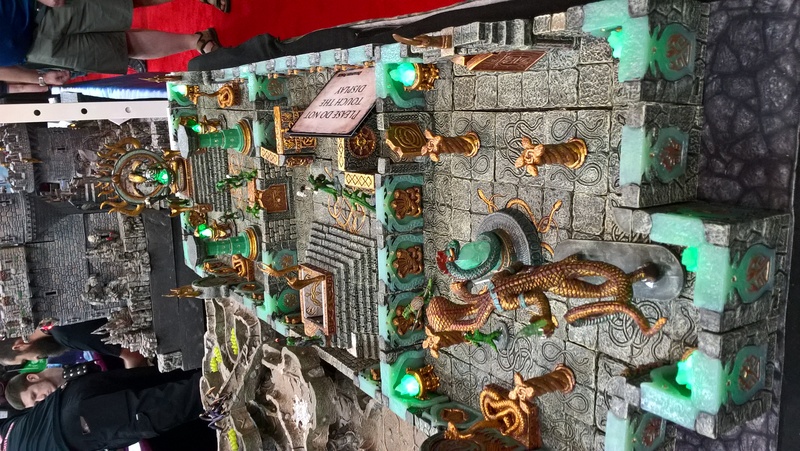 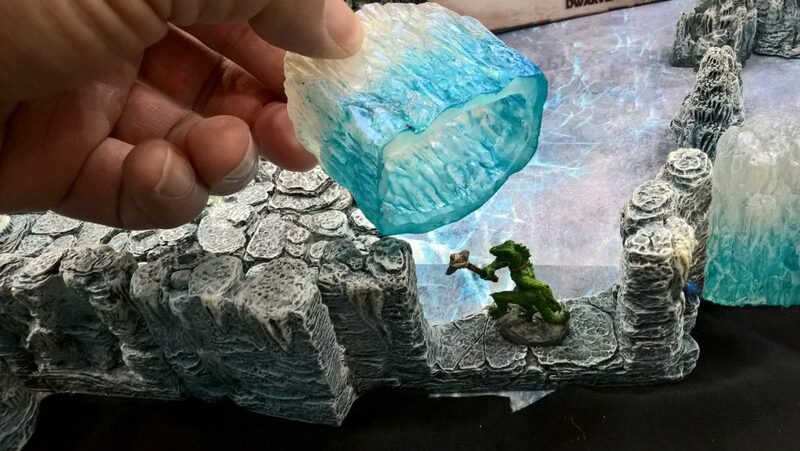 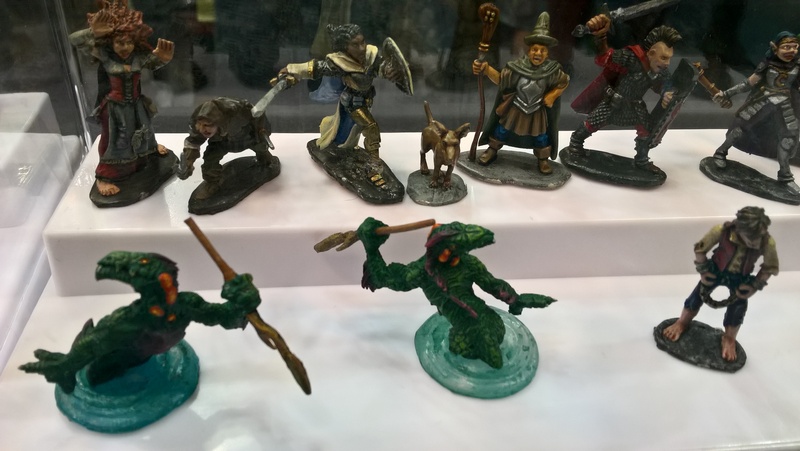 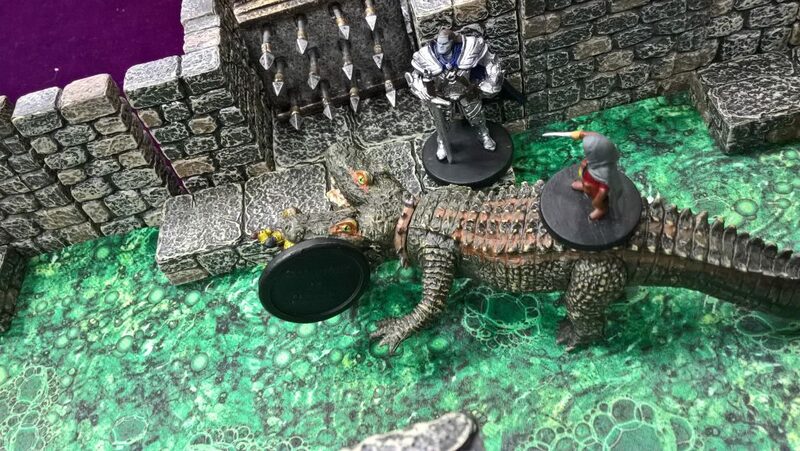 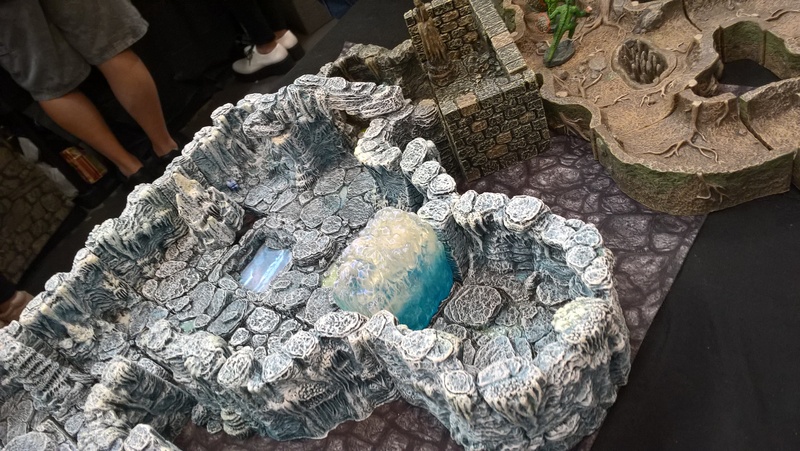 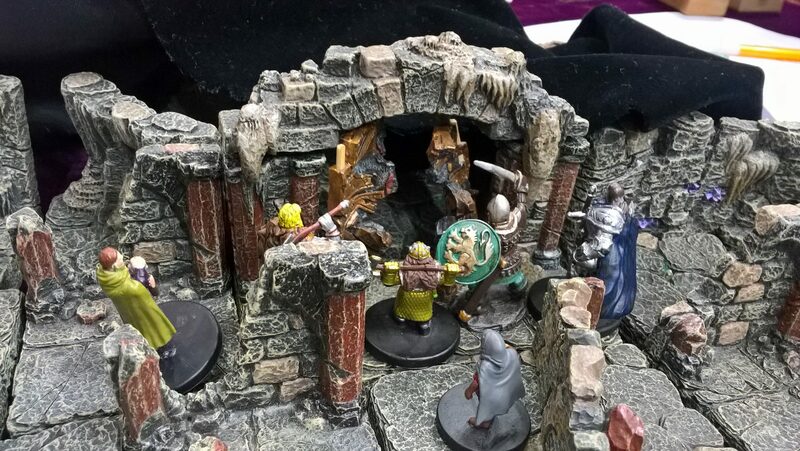 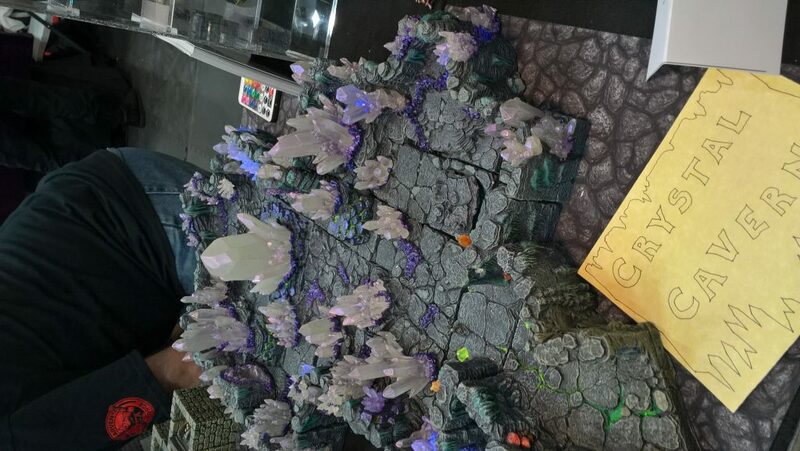 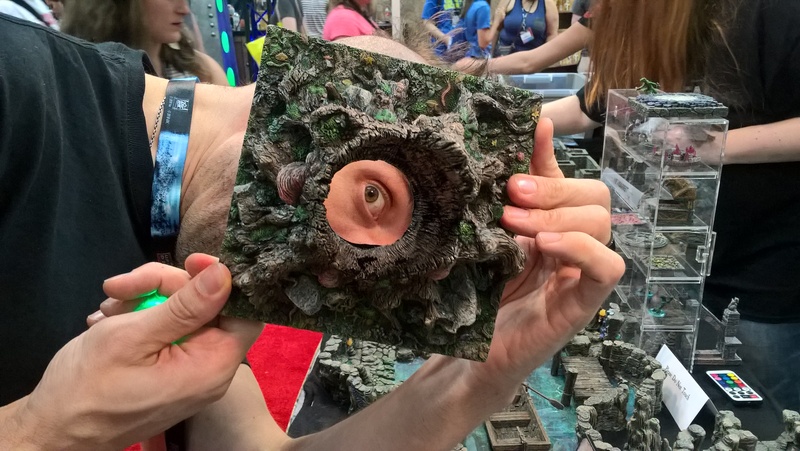 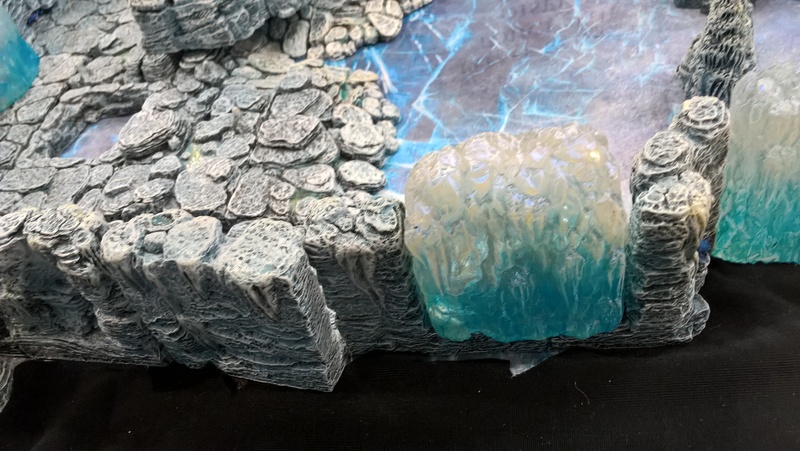 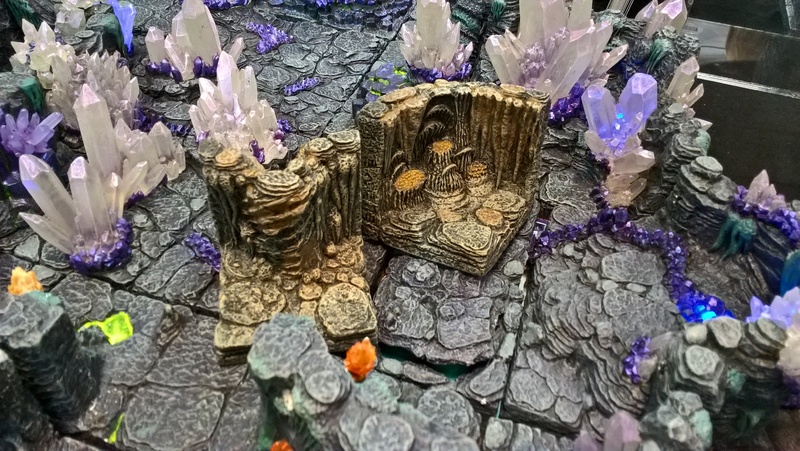 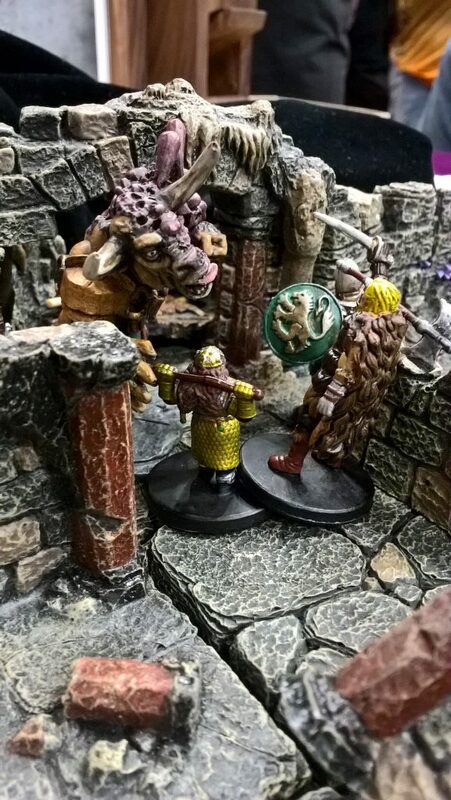 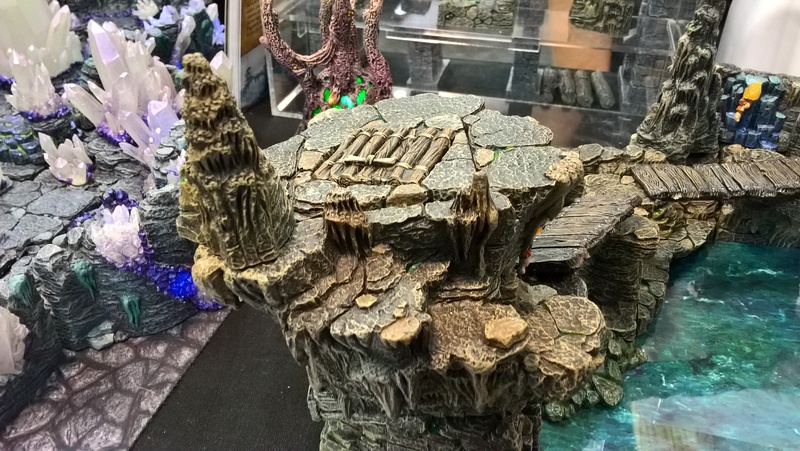 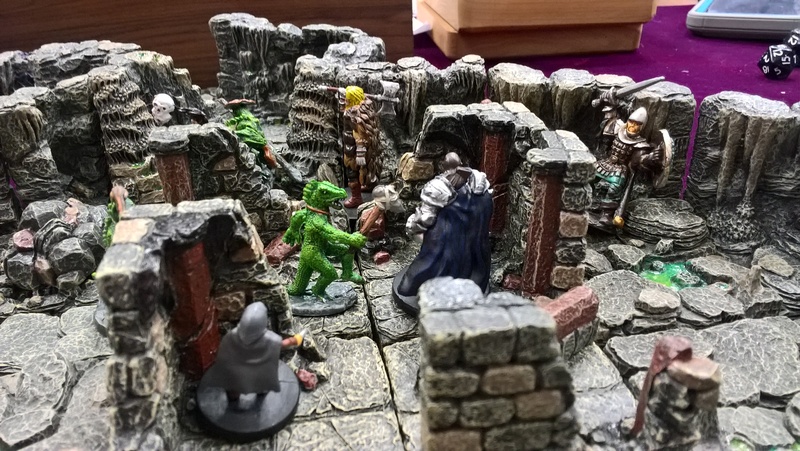 I got a chance to stop by the Dwarven Forge booth and see the new Caverns Deep pieces up close. 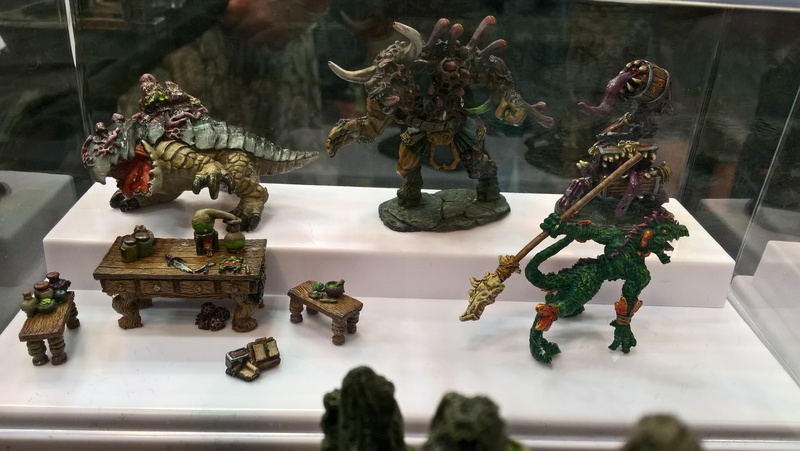 They look gorgeous! 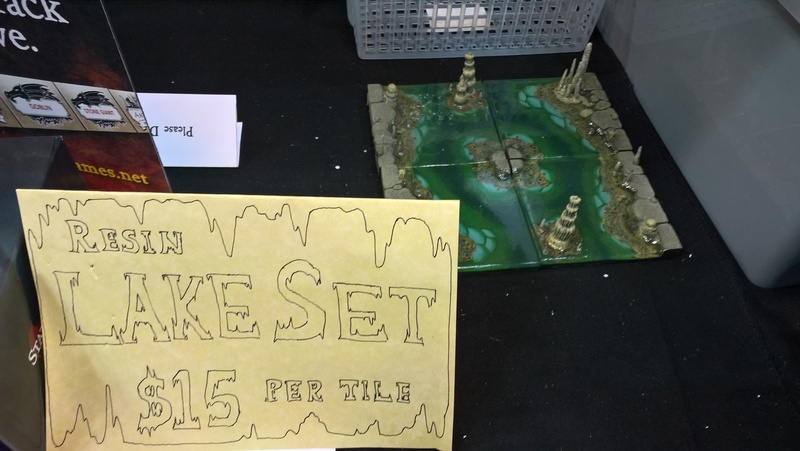 Hard to post pictures on the forum from my phone, so they are here. 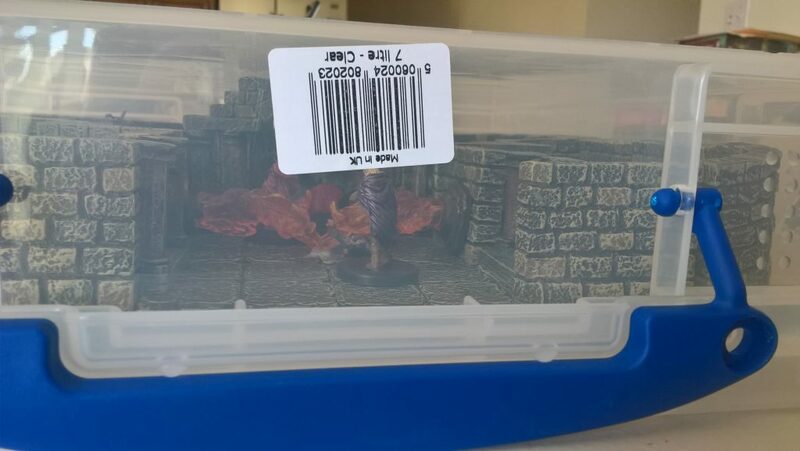 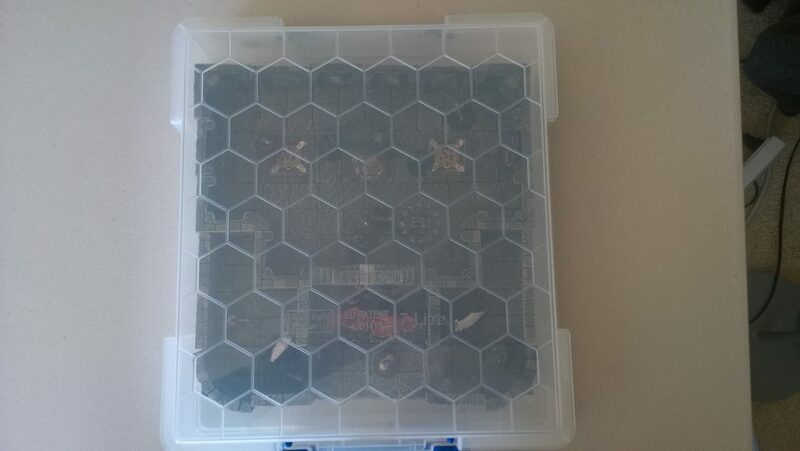 They also gave me a little accessory for being a backer. 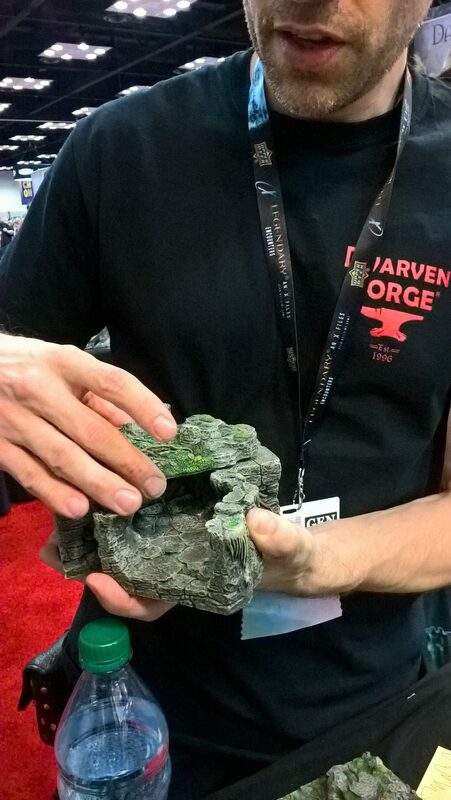 An anvil!